Any scenes in the Star Wars saga that feature the classic Snowspeeder vehicle are well-remembered and often reenacted by fans. Whether that be the rescue of Han Solo and Luke Skywalker or the Battle of Hoth itself. The best way to act out these scenes is by building the various LEGO sets that were designed to represent a snowspeeder and sometimes the accompanying set pieces that were also featured in the series as well. This set built in 1999, is made of orange and light grey pieces that also feature a 6×16 baseplate. It has wings with grey tiles on top of them, along with orange radiators and two guns. There is also a harpoon gun on the back that was used to attack the AT-ATs. You’ll also notice a cockpit that the minifigure pilot can sit in. A co-pilot and gunner minifigure can also fit inside. 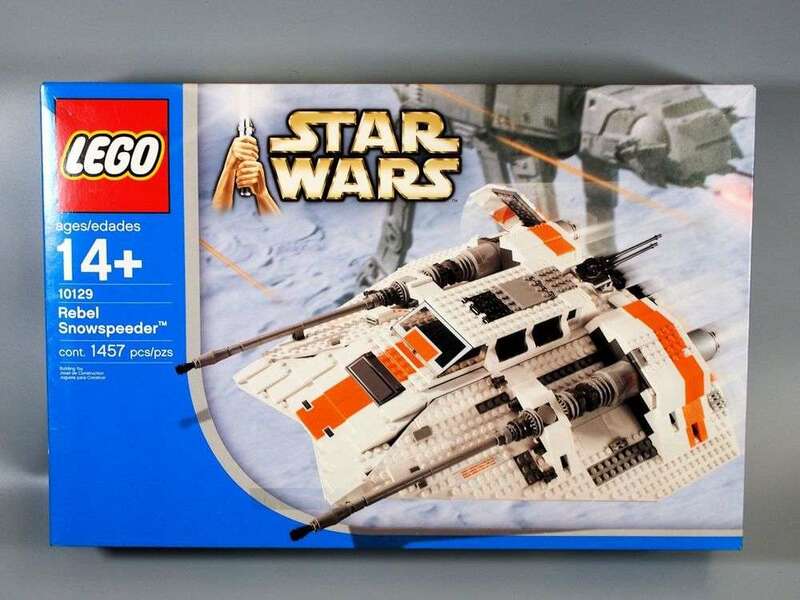 The Rebel Alliance used this ship in Episode V: The Empire Strikes Back and is the first Rebel Snowspeeder model created by the LEGO brand. 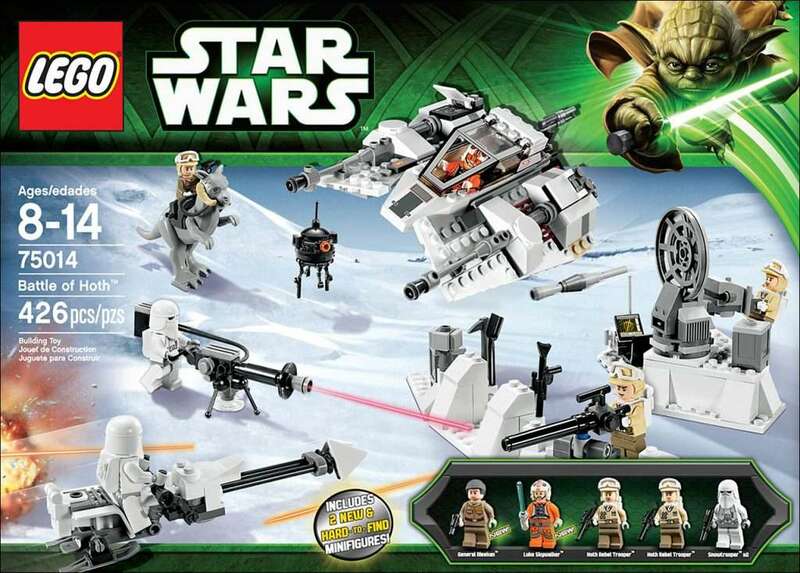 A Luke Skywalker minifigure is included as well as Dak Ralter and a Rebel Soldier. This 212 piece set is known as a Star Wars Classic and is best suited for children ages 7 through 12. This set is one of the classic models and is known as an Ultimate Collector’s Series set. It was released in 2004 and consists of different colored pieces which are mainly white, light grey and bright orange. It has 1457 pieces overall. Even though it is made to represent the Battle of Hoth from Episode V: The Empire Strikes Back, it’s more of a display model rather than a set used for play and to recreate scenes. So it isn’t made for minifigures and is only recommended for people aged older than 14. This Classic Star Wars set, released in 2004, consists of 214 pieces. This set is shaped to have two wings with laser cannons located on top of it. The rear end of the ship has a grappling hook and machine gun. Both of the wings contain two flaps on top which are built to resemble air brakes, so they move in an up and down motion. 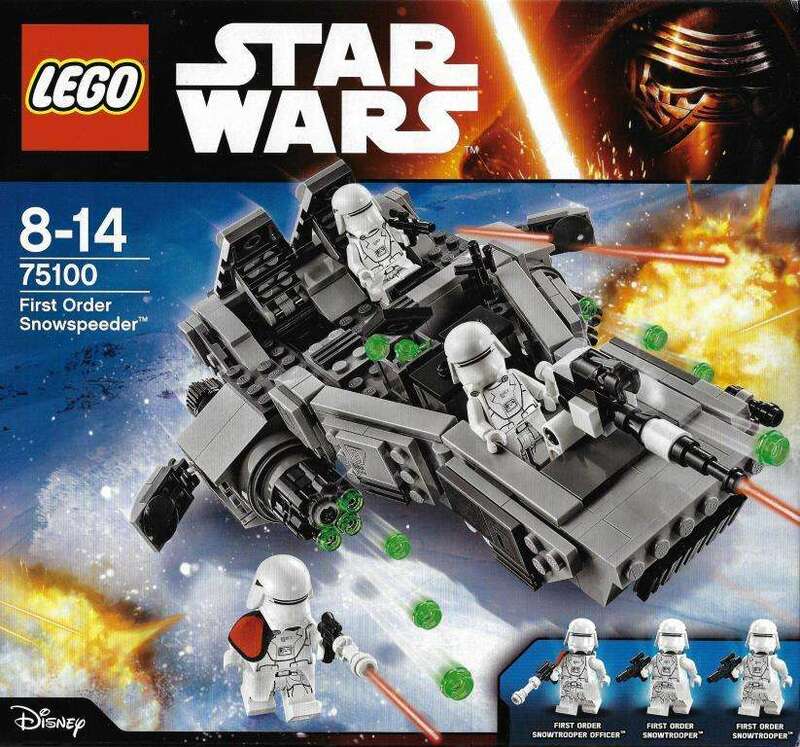 The set also includes a separate blaster turret. In the middle of the turret, you’ll find a black pipe piece sticking out which represents the barrel of the turret gun. The minifigures that are included are Luke Skywalker, Dak Ralter and the Hoth Rebel Trooper. Both Luke and Dak are sporting a classic rebel pilot wardrobe, but Luke is instead wearing a helmet with a red rebel insignia, an orange flight suit with white markings and yellow skin. Dak’s uniform includes the classic orange suit, along with a helmet with blue rebel insignia markings. The Hoth Rebel Trooper is holding a black machine gun with a completely white helmet that resembles the same piece used for Anakin’s podracer helmet. Other parts of him are white including his backpack, belt and hands (resembling gloves). Like the trooper found in the original 7130 snowspeeder, he is wearing the same snowsuit. This set is based on the original 1999 model. It’s best suited for children ages 7 to 12. It was featured in Episode V: The Empire Strikes Back during the Battle of Hoth when the pilots of the snowspeeders fought against the AT-ATs. 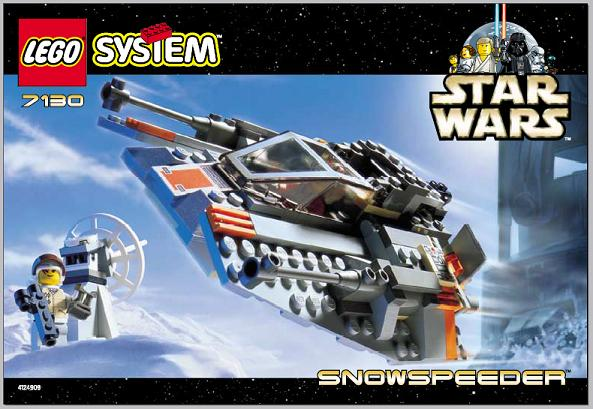 This 297 piece Classic Star Wars LEGO set released in 2010, contains a snowspeeder with a windshield that opens completely or opens halfway. There is also a winch and rotating blaster included. You can wind and unwind the winch to throw off at the AT-AT walkers, similar to the scene in the film. The set resembles the snow planet of Hoth from Episode V: The Empire Strikes Back. 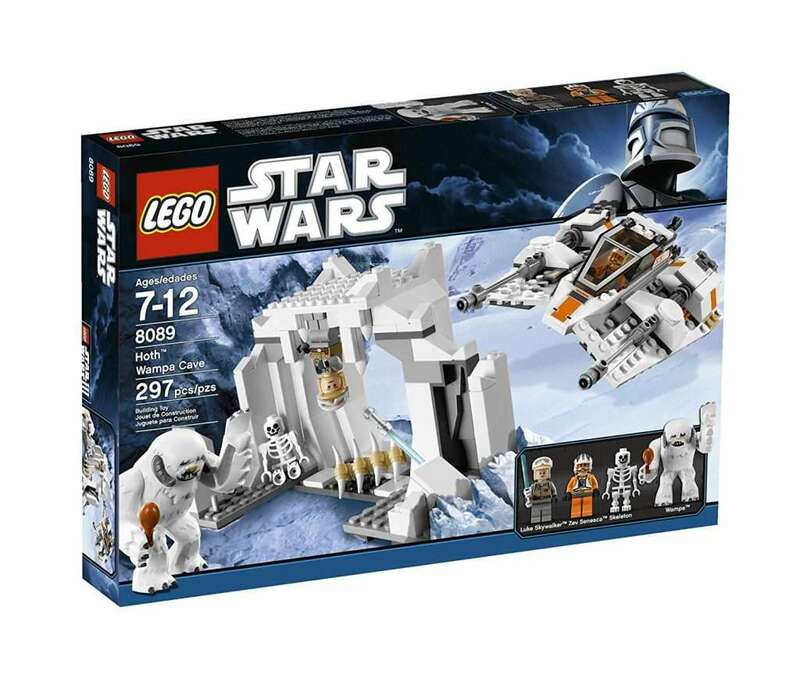 This set includes a snow cave with the skeleton and its spine. This set also includes a spot in the cave to hang Luke from the ceiling, similar to what takes place in the movie. This set is particularly unique because it celebrates the 30th anniversary of the release of The Empire Strikes Back. The inside of the snowspeeder can fit two minifigures in the seats. The minifigures include Luke in his “Hoth” uniform with goggles and a helmet. There is also a Wampa, that can hold a chicken leg piece in his hand and at the same time hold Luke in his left hand, similar to the scene in the movie. Zev Senesca, the rebel pilot is also available in this set. It is made for children between the ages of 7 and 12. This newer, but classic set has three parts included overall. It has Luke Skywalker’s snowspeeder vehicle, a smaller-sized, light blue-grey P-Tower turret with a command post that sits on a smaller base plate as well as three other base plates. A small turret can also be found in this set with an imperial speeder. It may seem to resemble the 8089 Wamba Cave set because it was designed in a similar way. Rather than orange marks though, it instead has grey marks. There is a cockpit inside of the snowspeeder as well as turrets on both sides of the ship. On the rear of it, you’ll find a small alien conquest gun that has binoculars attached to it. 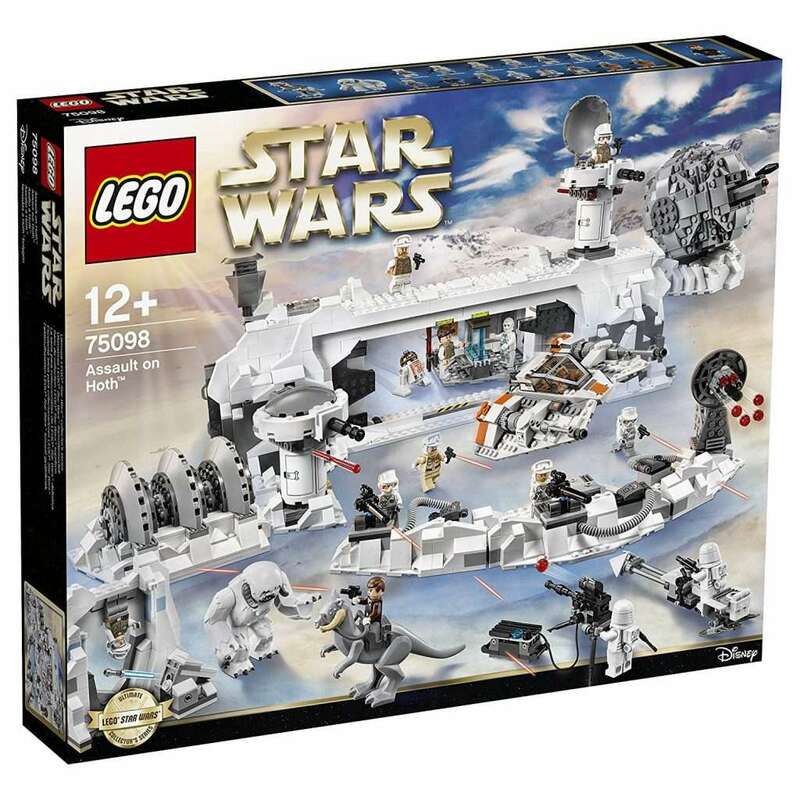 This set contains 426 pieces with a redesigned Luke Skywalker minifigure in a snowspeeder uniform, 2 Hoth rebel troopers, 2 snowtroopers, and General Rieekan. It was designed in order to recreate the iconic Battle of Hoth in Episode V: Empire Strikes Back. It is best suited for ages 8 through 14. This harpoon-firing ship contains a stun blaster gun and missiles underneath its wings. Inside is a dual cockpit where you can place two of the three minifugres inside with their weapons. These minifigures are armed and ready to attack with a stun blaster or spring-loaded shooters. A snowtrooper, Luke Skywalker and Dak Ralter are all of the minifigures included in this set. This new model, released in 2014, consists of 279 pieces and is best played with by 7 to 12-year-olds. Once again the ship is based on the snowspeder from Star Wars The Empire Strikes Back. 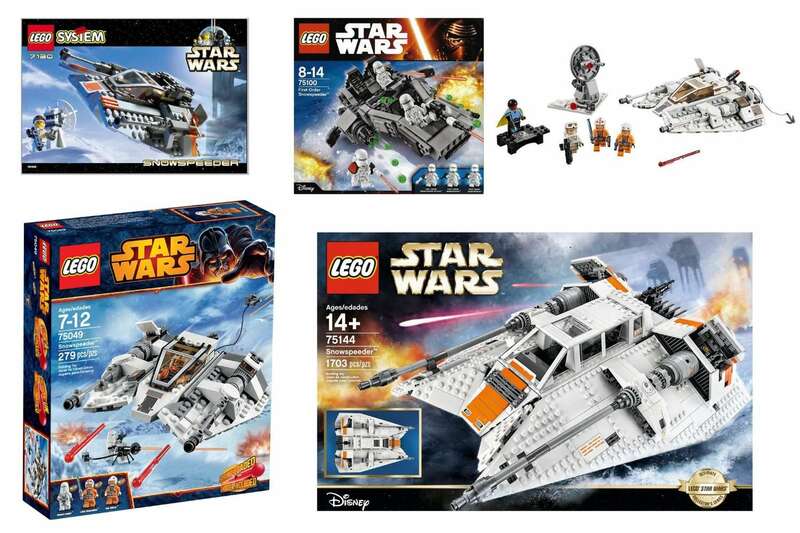 This set, a part of The Force Awakens line, includes a First Order Snowspeeder that is grey in color. The set is big enough to fit all three of its included minifigures, which are a First Order snowtrooper officer and a two First Order snowtroopers. There is a section in the front for one minifigure to be placed, as well as two backseats for two more minifigures. They are able to shoot with stud shooters both on the engines and in the front of the vehicle. This set was released in 2015 and contains 444 pieces. It is also featured in the film, Episode VII: The Force Awakens. It is best suited for ages 8 to 14. This 2016 set is perfect for any battles you’re planning to fight on the ice planet of Hoth. It includes a greater amount of minifigures than most of these listed sets, as it contains 14. They all possess different types of weapons. The minifigures in this set are Han Solo, Luke Skywalker, Wes Jansen, a rebel officer, Toryn Farr, Wedge Antilles, a wampa, rebel troopers, K-3PO, 2 snowtroopers, an R3-A2, and Tauntaun. 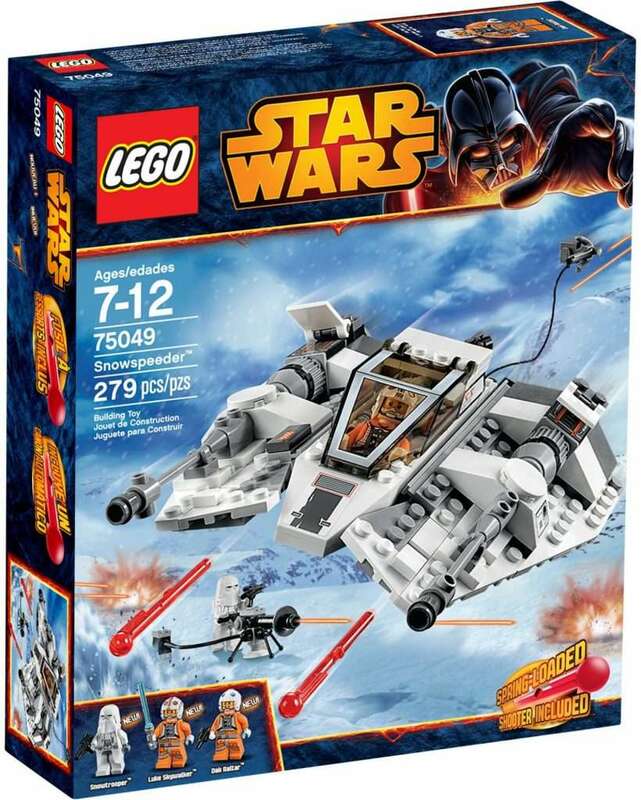 This set comes with a Rebel base and Snowspeeder. The base has blast doors that are able to slide, a service area with a crane included, a control room, an ion cannon and a laser turret with shooters on the ship that can also hold a minifigure. It also includes a scouting post with stud shooters that have the ability to hold one minifigure. This set is from the Hoth battles in Episode V: The Empire Strikes Back. This Ultimate Collectors Series set is larger than most, containing 2144 pieces and was recently released in 2016. It’s best used for ages 12 and up. 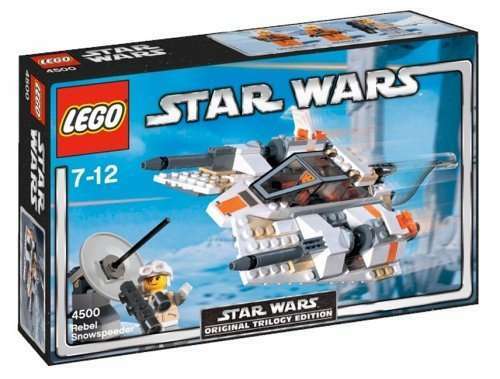 This newer-made set was released in 2018 and has a rotating rear gun, airbrakes, and a cockpit with space for the minifigures inside. Since this is newer than most, it contains a very detailed design. It includes blaster pistols, a rebel snowspeeder and a rebel snowspeeder pilot. It was released in 2018 and due to it being a UCS model it is more of a display piece than playset. It has 1703 pieces and is best used by children over 14. 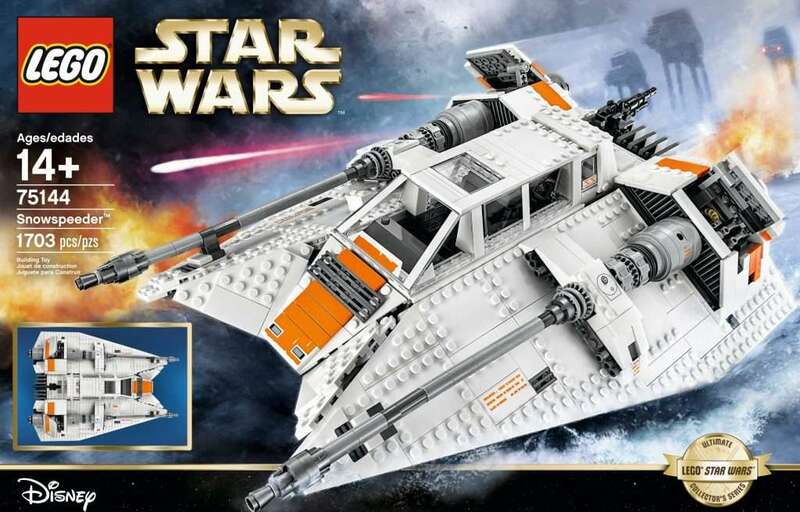 Marking the 20th anniversary of LEGO Star Wars this snowspeeder model looks to be the most detailed yet. Taking advantage of new moulds and pieces and better building techniques this LEGO Snowspeeder really looks the part. It comes with 309 pieces and 4 minifigures. The figures included are Luke Skywalker, Dak Raltar, a Rebel Soldier and a special 20th anniversary Lando Calrissian that is exclusive to this set. All of these sets are quite impressive in their own distinct ways when comparing them based on size, design, shape, minifigures and more. It can be argued that set 8089 Hoth Wampa Cave, released in 2010 wins the award for best s Snowspeeder overall on all aspects. 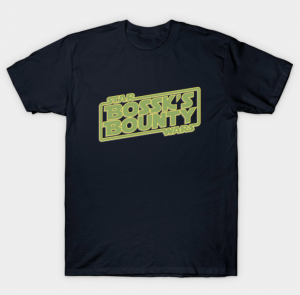 It recreates classic scenes from the planet Hoth and the impressive design best honors the 30th Anniversary of Episode V: Empire Strikes Back. The Luke Skywalker and Wampa minifigures were both created with a fascinating design to best represent the characters and overall story.